President Rodrigo Duterte on Wednesday accepted arms and ammunition from China in a turnover ceremony at Clark Air Base in Angeles City, Pampanga. Defense Sec. 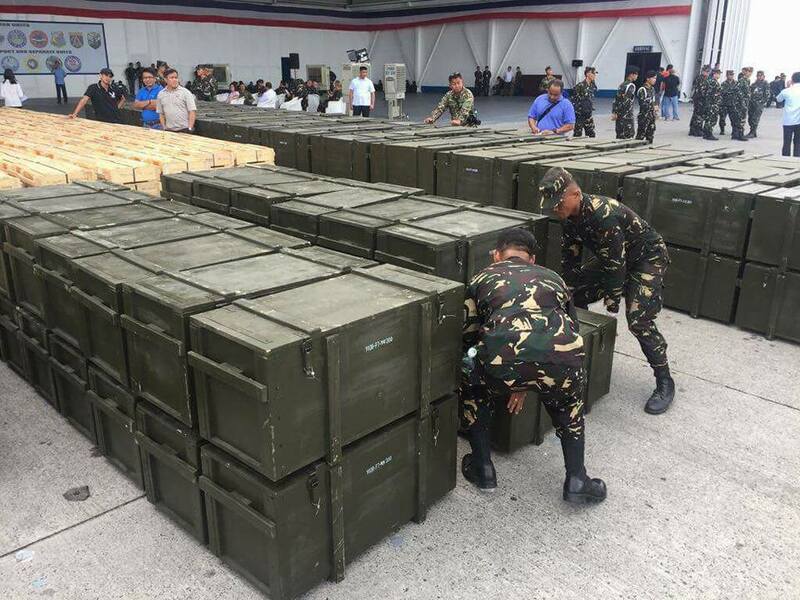 Delfin Lorenzana said the military package amounted to 50 million yuan or more than P370 million. 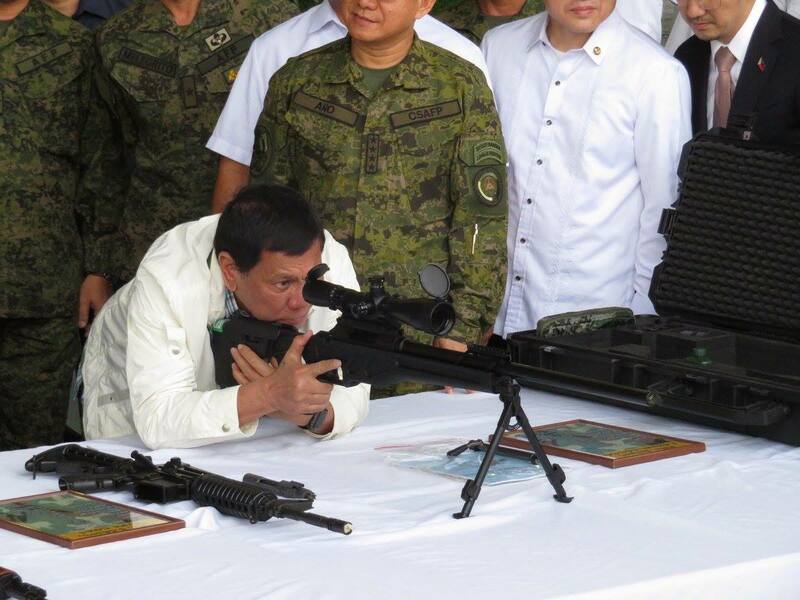 The weapons include TY-85 7.62 mm sniper rifle, CS/LR4A high precision rifle, and CQ-A5 5.56 automatic rifle. 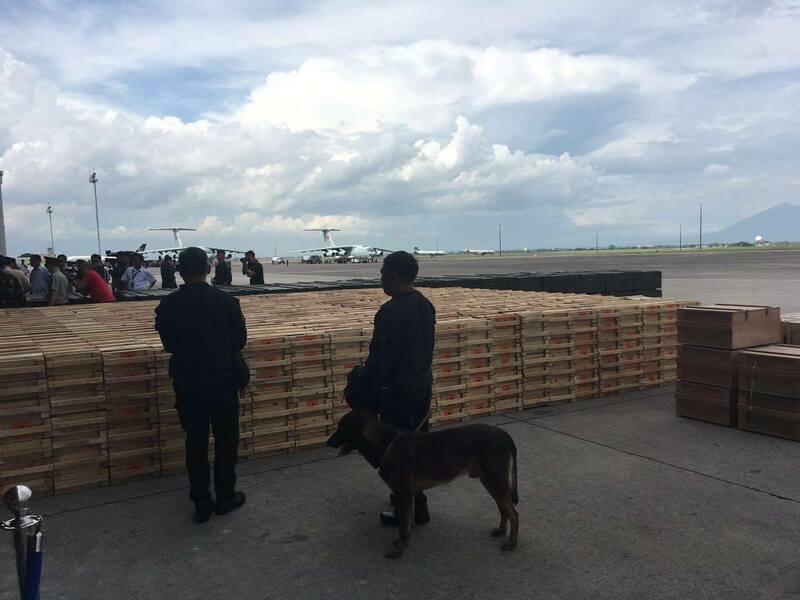 “To Ambassador Zhao, please relate our sincerest thanks to President Xi Jinping and the government of the People’s Republic of China for its military aid package I will receive today in behalf of the Philippine government,” he said. 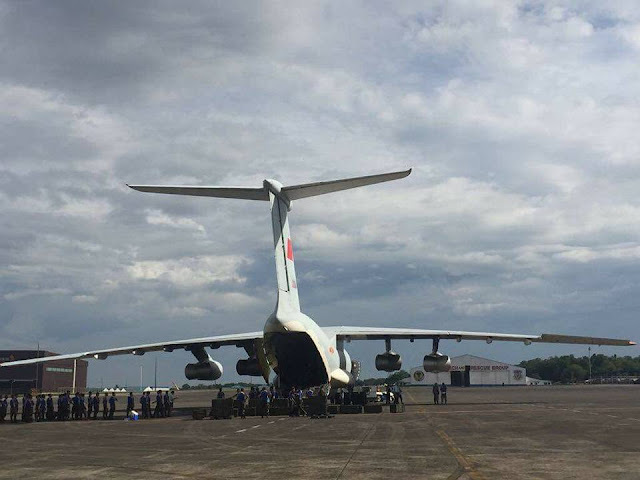 Duterte told reporters after the event that the Chinese military aid would have to go through the Department of National Defense for inventory. “It will be equally divided as needed by our security forces and that would be the military and the police,” he said. Chinese Ambassador Zhao Jianhua said the military aid was the first of two batches, with the second set to arrive in the coming months. “Terrorism is the enemy both China and Philippines are facing. It requires our two militaries to further enhance cooperation in this area. The Chinese side would like to express the possibility of joint training, intelligence sharing, and joint military exercises in the area of fighting terrorism,” he added. 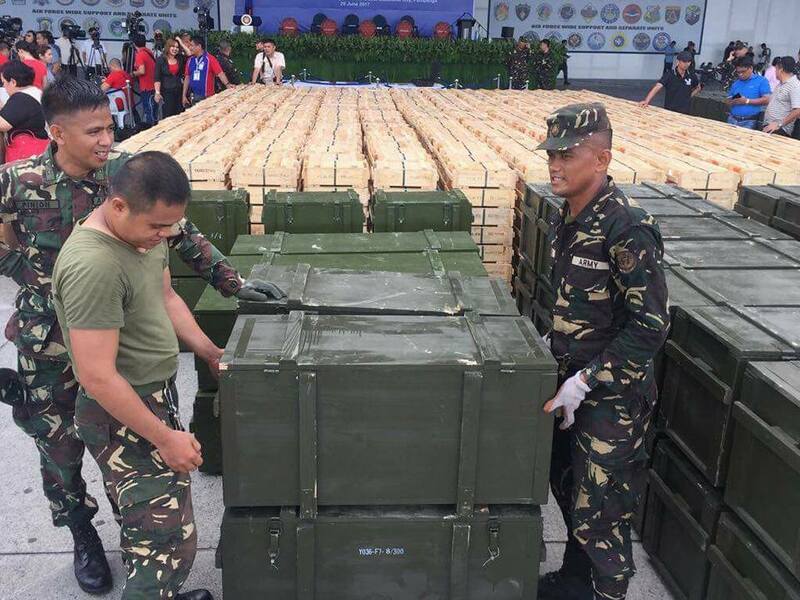 He also announced that the Chinese government would donate P5 million for the families of the soldiers who died in Marawi City, as well as the wounded troops.